Why he is influential: Aston has expanded TowneBank in recent years to become the second-largest Virginia-based community bank in terms of deposits. In rapid-fire fashion, the bank acquired Monarch Financial Holdings in Hampton Roads and Franklin Financial Corp. in Richmond. The Monarch deal gave TowneBank the biggest market share in deposits in Hampton Roads. Aston started the bank in his Portsmouth garage in 1999. Recent developments: TowneBank opened its Richmond headquarters in September. It occupies about 39,000 square feet on two floors of the 18-story Gateway Plaza building downtown. The bank marked the occasion by announcing a $500,000 gift to the YMCA of Greater Richmond. Why he is influential: Capital One, which ranks among the nation’s biggest banks, began in 1988 as the credit card division of Richmond-based Signet Banking Corp. Capital One is famous for its catch phrase “What’s in your wallet?” in commercials featuring movie stars such as Jennifer Garner and Samuel L. Jackson. In addition to Capital One, Fairbank is an owner of Monumental Sports & Entertainment, which has three major league teams — the NBA’s Washington Wizards, NHL’s Washington Capitals and WNBA’s Washington Mystics. He was inducted into the Washington Business Hall of Fame in 2008. Recent developments: Capital One is building an expanded campus in Tysons that will include a 31-story, 940,550-square-foot building. The project is scheduled for completion next year. Why he is influential: President of the Richmond Fed since 2004, Lacker is an inflation hawk on the rate-setting Federal Open Market Committee (FOMC). During his last turn as a voting member of the group in 2015, he persistently called for the FOMC to raise its benchmark fed funds rate, which had re­­mained near zero since 2006. After many delays, the committee raised the rate a half percentage point in December, the first change since December 2015. More increases are expected this year. Recent developments: Lacker will retire in October after serving at the Fed since 1989. A search committee has been formed to identify his replacement. Why she is influential: HomeTown is the largest bank based in the Roanoke Valley, with total assets of more than $500 million. A former senior vice president with SunTrust Bank, Still joined HomeTown at its inception in 2005 and has led the bank since 2008. Readers of The Roanoker magazine have picked HomeTown as the best local/regional bank for five consecutive years, and American Banker magazine identified it as one of the best banks to work for in the nation. Still serves on the board of directors of the Federal Reserve Bank of Richmond and the Virginia Bankers Association. She also is a member of the American Bankers Association Community Bankers Council. In the Roanoke area, Still serves on the boards of the Roanoke Regional Chamber of Commerce, Foundation for Roanoke Valley, North Cross School and United Way of Roanoke Valley. Recent developments: Last year, HomeTown joined the NASDAQ stock exchange and was named Small Business of the Year for Business to Business Service by the Roanoke Regional Chamber of Commerce. The chamber had recognized the bank a year earlier as Small Business of the Year for Business to Consumer Service. Why he is influential: Archer and his family have been business and civic leaders since buying Blue Ridge Beverage in 1959. The company employs 465 people working in Salem, Abingdon, Lynchburg, South Boston and Waynesboro and serves 4,000 retail customers. Archer is a past chair of the National Beer Wholesalers Association and past president of the Virginia Beer Wholesalers Association. He also is a former chair of the Virginia Chamber of Commerce. Archer took part in the creation of Virginia Health Information, a data collection and reporting organization. He also has worked with Lewis-Gale Medical Center, the Virginia Tech Foundation, Virginia Center for Healthy Communities, Military Family Support Center and the Virginia Veteran Services Foundation. A Vietnam War veteran, he serves on the Virginia War Memorial Foundation board of directors and the Radford University board of visitors. Recipients of the company’s philanthropy include the Bradley Free Clinic, Center in the Square, Taubman Museum of Art, Jefferson Center and Opera Roanoke. The company also has made contributions to Tech, the University of Virginia, James Madison University and Roanoke College. Recent developments: The House of Delegates passed a resolution last year commending Archer and Blue Ridge Beverage for its community involvement and economic contributions. Why he is influential: Barrington leads Virginia’s third-largest publicly traded company, which dominates the U.S. tobacco industry. He has been with the company for more than 20 years. Barrington also serves on the board of directors of Anheuser-Busch InBev. In Richmond, he is on the Virginia Museum of Fine Arts board of trustees. Recent developments: Altria has acquired the privately held Sherman Group Holdings, a maker of high-end cigarettes and cigars. Meanwhile, British American Tobacco’s $49 billion acquisition of Reynolds American sparked speculation that Altria might reunite with Philip Morris International, which it spun off in 2008. Why he is influential: Gordon has overseen the transformation of the county from a bedroom community of Washington, D.C., to one of the most prosperous business communities in the U.S. In 2016 the county had eight Fortune 500 headquarters and 158 businesses on the Inc. 5000 list of fastest-growing companies. Jobs have grown from 243,000 to almost 600,000 during his tenure. In 2016 he stepped down as chair of the Foundation for Fairfax County Public Schools and took on the chairmanship of the George Mason University Honors College board. Recent developments: Gordon is working on a book on defining a new economic growth theory. It is due out in summer 2018. Why he is influential: Inducted last year into the Cable Hall of Fame, Wynne worked to build The Weather Channel into what it is today. He is current chairman of the board of Reinvent Hampton Roads and is the past board chairman of the Hampton Roads Community Foundation. He is an emeritus trustee at Princeton University, his alma mater, and a former rector for the board of visitors at the University of Virginia, where he earned his law degree. Recent developments: In 2016 he was elected board chairman of GO Virginia, a statewide business led initiative. He also is on the board of the Virginia Research Investment Committee, which supports academic research and startups based on commercialized research. Why he is influential: Davenport is active in many statewide organizations and has long been a champion for reshaping the economy of Southern Virginia. In October he was elected vice chairman of GO Virginia, the state’s new economic development initiative. Backed by the business community, GO Virginia and its 24-member board are pushing for more collaboration among regions for economic development projects. Recent developments: Davenport and his wife, Betty, recently donated $1 million to create the Davenport Early Childhood Development Institute. Four Virginia community colleges will collaborate on a project aimed at improving training for people working in child-care centers in Southern and Southwest Virginia. Why he is influential: Dominion is one of Virginia’s most powerful corporations, and Farrell’s influence cuts across many spheres. The energy company distributed $26.6 million in charitable donations last year, supporting everything from Richmond’s performing arts center, which was renamed the Dominion Arts Center, to a new PGA tournament. Richmond also is getting another skyscraper as a result of Dominion’s decision to keep its headquarters downtown. Its presence continues to be felt at the General Assembly with Dominion donating more than $1 million last year to politicians and political groups in Virginia. Meanwhile, there’s no final word yet from federal authorities on its ambitious proposal to build the controversial Atlantic Coast Pipeline. Recent developments: Farrell serves on the board of GO Virginia, a new regional economic development initiative for Virginia. Why he is influential: Bush leads the fifth-largest publicly traded company in Virginia and one of the country’s largest defense contractors. He serves on the board of Norfolk Southern and several nonprofit organizations. Recent developments: Northrop Grumman reported a 12 percent increase in sales in the fourth quarter of 2016. The company is well-positioned to take advantage of expected growth in manned and unmanned aerospace systems. In late 2015, the company won a contract to build B-21 Raiders, the Air Force’s new long-range bombers. The company also manufactures advanced intelligence-gathering drones for the Air Force and Navy. Why he is influential: Krone leads Leidos, a $10-billion-a-year government IT contractor, with more than 33,000 employees. He serves on the boards of WETA Public Television and Radio and on the Greater Washington Urban League. Krone also is on the executive committee of the Aerospace Industries Association. He is a CPA and licensed commercial air­­­­-line pilot (he is a member of the Aircraft Owners and Pilots Association Foundation’s board of visitors). Recent developments: Last year Leidos completed a $5 billion merger with Lockheed Martin’s Information Systems & Global Solutions business. The move enabled “Leidos to become a market leader in government IT, expanding its footprint in both civil and commercial business, as well as internationally,” Krone told Virginia Business. The deal also expanded the company’s footprint in growing markets like cybersecurity, health IT, analytics and IT infrastructure. “The merger has allowed us to reposition and strengthen the company with a sharper focus and renewed growth potential,” he said. Some major recent awards include a contract, with options, worth up to $770 million to support the Army Geospatial Center, a subcontract worth up to $202 million to support the Joint Improvised-Threat Defeat Organization and several major contracts with U.S. national security and intelligence clients. Why he is influential: Lawrie is credited with leading a major turnaround of IT services giant CSC Corp., which included spinning off its public-sector services in 2015. It has made several acquisitions since. Recent developments: In April, the company is expected to close on its merger with the Enterprise Services segment of Hewlett Packard Enterprise (HPE) to become one of the world’s largest pure-play IT services company. Lawrie will become chairman, president and CEO of the new company, which will be named DXC Technology. It is expected to have $26 billion in annual revenues. Why he is influential: Moraco has led SAIC, an IT contractor with annual revenues over $4.4 billion, since it was spun off from its parent company in 2013. He is on the boards of the Northern Virginia Technology Council and the Intelligence and National Security Alliance. Recent developments: SAIC has had major recent contract wins with the Defense Logistics Agency, the U.S. Army Engineering and Support Center, NASA and the U.S. intelligence community. The company continues to integrate its 2015 acquisition of Scitor Corp., a government services provider that added the intelligence community to the company’s clients. Why she is influential: Novakovic, credited with the turnaround of Virginia’s largest defense contractor, has led General Dynamics since 2013. The company reported revenues of $31 billion in 2016. She was named No. 8 on Fortune magazine’s list of Most Powerful Women last year. Recent developments: In the fourth quarter, the aerospace and defense company reported better-than-expected results in all its business segments. The company believes revenue will rise 2.5 percent in 2017. Key recent wins include a $430 million contract to provide center systems and operations support for the U.S. Census Bureau and a $324.5 million award to build a mobile sea base for the U.S. Navy. Why he is influential: Petters heads the country’s largest U.S. Navy shipbuilder and the largest industrial employer in Virginia with more than 20,000 employees. Recent developments: Huntington Ingalls recently purchased Camber Corp., a government services company headquartered in Huntsville, Ala., as it seeks to diversify beyond shipbuilding. HII plans to hire 3,000 workers at Newport News Shipbuilding this year as construction on subs and carriers increases. Last year Petters declined all but $1 of his salary to help fund the Huntington Ingalls Industries Scholarship fund, which provides financial assistance to employees with children in prekindergarten and postsecondary school programs. Why he is influential: Thompson co-founded Orbital ATK’s predecessor, Orbital Sciences, in 1982. Today the aerospace and defense technology company is one of three private companies sending resupply missions to the International Space Station. The company has $4.4 billion in annual revenues and employs more than 12,000 people. Recent developments: Orbital ATK last year completed three successful resupply missions to the International Space Station, including a return to NASA’s Wallops Flight Facility. It had been damaged in late 2014 when one of Orbital’s rockets exploded during takeoff. The company is currently restating three years of financials because of an accounting error on a Pentagon contract. Why she is influential: With more than 12,000 employees, Carilion is the largest employer in western Virginia. Its operations include seven hospitals, a multispecialty physician group and the Jefferson College of Health Sciences. The Virginia Tech Carilion School of Medicine, a joint venture with the clinic, will become the university’s ninth college in 2018. Agee was born at Roanoke Memorial Hospital and began her career as a nurse in her hometown. She has served on a number of health-care, civic, educational and corporate boards. Recent developments: Agee is chair-elect of the American Hospital Association board of trustees. She will begin her term as board chair next year. 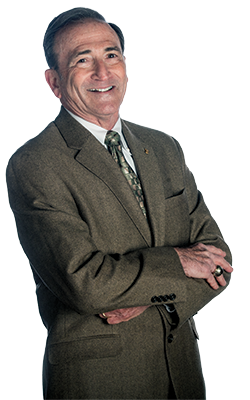 Why he is influential: Fralin serves as chairman of the Virginia Business Higher Education Council (VBHEC) and vice chairman of the State Council of Higher Education for Virginia (SCHEV). He has been influential in the development of the Virginia Plan, SCHEV’s strategic proposal for the state’s higher education system. He also serves on the boards of the Virginia Western Community College Foundation and the Taubman Museum of Art. Recent developments: Fralin was recently appointed to the Virginia Initiative for Growth and Opportunity Board (GO Virginia) as well as the Virginia Research Investment Committee (VRIC), which provides research funding to Virginia universities. Why he is influential: A neuroscientist, Friedlander left Baylor College of Medicine in Houston in 2010 to become the research institute’s founding director. He recruited scientists to Roanoke, helping to transform the city into a biomedical destination. In addition to leading the research institute, Friedlander will lead the development of the Virginia Tech Carilion Health Sciences and Technology Campus and the Roanoke Innovation Corridor. Groundbreaking for a new $67 million building doubling the size of the research institute begins this year. Recent developments: Friedlander was named Virginia Tech’s first vice president for health sciences and technology in 2016. Why he is influential: Merrill heads a health system that includes six hospitals, four in Virginia and two in West Virginia. Valley Health also operates three urgent-care facilities, more than 30 physician practices and a medical transport service. During Merrill’s tenure, Valley Health’s 429-bed Winchester Medical Center has been named a “Best Hospital for Common Care” by U.S. News & World Report. Winchester Medical Center’s 52,000-square-foot, $28.5 million cancer center opened in September. A joint venture involving Valley Health System and a group of Winchester surgeons now is building the Valley Health Surgery Center, a 21,759-square-foot ambulatory surgery center with three operating rooms. Merrill is secretary-treasurer of the Virginia Hospital & Healthcare Association board. In 2015, he received an award of excellence from VHHA for his efforts to preserve health-care quality in Virginia. Merrill has been involved in a variety of charitable and civic organizations, serving on the boards of the Northern Shenandoah Valley United Way and Our Health and the advisory board of Shenandoah University School of Business. Recent developments: In January, the Top of Virginia Regional Chamber named Valley Health System its Large Business of the Year winner in the annual Greater Good Awards. 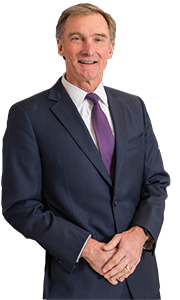 Why he is influential: After paving the way for Inova’s Center for Personalized Health campus in Fairfax County, Singleton spearheaded a partnership between Inova Health System and the University of Virginia to provide the most advanced treatments and prevention strategies. Singleton continues to recruit researchers, scientists and physicians to the campus. He also led the creation of Simplicity Health, a new group of primary-care clinics that will serve high-need communities. Recent developments: Singleton was instrumental in launching the Inova Strategic Investment Initiative last year, which will invest in health-care venture funds as well as companies involved in fields such as advanced analytics that align with Inova’s priorities. Why they are influential: The father-and-son duo have developed Shamin Hotels into the largest private hotel owner in Virginia. PC co-founded Shamin in 1979 with his brother-in-law, BN Shah. PC’s son, Neil, now leads the company. Shamin owned one hotel in 1979 and now has 50, including two hotels purchased in February. It boasts $1 billion in assets and more than 2,500 employees. Neil’s board appointments include the Treasury of the Commonwealth of Virginia and the Virginia Small Business Financing Authority. PC is chairman of the Cultural Center of India and is on the board of the Chesterfield Center for the Arts Foundation. Recent developments: Next year they plan to open the Moxy, an 87-room Marriott-branded boutique hotel in downtown Richmond geared toward millennials. Why she is influential: Johnson oversees a growing list of luxury properties in Virginia, Florida and Louisiana, including the Salamander Resort & Spa in Middleburg. Salamander Hotels & Resorts is adding two new hotels to its portfolio this year — the NOPSI Hotel in New Orleans and the Hotel Bennett in Charleston, S.C. The properties are set to open in the spring and fall, respectively. Recent developments: Johnson recently teamed up with women investors in the Washington, D.C., area to form WE Capital. It is a venture capital consortium supporting female-led startups that make a social impact. Why he is influential: Knight continues to usher Apple Hospitality REIT Inc. through an upward trajectory. The company was begun by his father, Glade. Since taking over as CEO in 2014, Justin has grown the company into one of the largest lodging REITs in the nation and led it through its New York Stock Exchange debut. “One of the most exciting things about my job is that it continually presents me with new challenges,” he says. “Whether cyclical downturns in the national or local economy, difficulties with a specific hotel or competition from alternative investment opportunities, national disasters or changes in customer preferences, these challenges force me and those I work with to adjust our strategy and continue to improve ourselves.” Knight is also involved in the community. He serves on the boards of The Valentine museum and Venture Richmond and is a trustee at Southern Virginia University in Buena Vista, where his father is founding chairman. In his spare time he enjoys playing piano for children at his church, horseback riding, hiking, flying (he’s a pilot) and camping. Most of his free time, however, is spent with his wife and four children, he says. Recent developments: In 2016, Apple Hospitality REIT merged with Apple REIT Ten, also founded by his father, in a $1.3 billion deal. The move made Apple Hospitality the owner of 236 hotels in 33 states. Why he is influential: Nassetta has led Hilton, a major hospitality company, for nearly a decade. 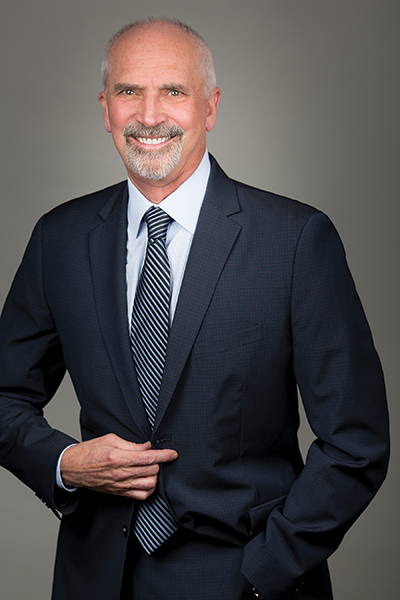 He serves on several boards, including Washington, D.C.-based commercial real estate information firm CoStar Group and the Wolf Trap Foundation for the Performing Arts in Vienna. Recent developments: This year he ushered the company through a major transaction, the spinoff of its real estate and timeshare businesses, which like Hilton are publicly traded. The newly formed real estate company, Park Hotels & Resorts, is one of the largest publicly traded real estate investment trusts in the lodging industry. Why she is influential: Nyholm leads Virginia International Raceway (VIR), a 1,370-acre “motorsport resort” that draws approximately half a million visitors per year. VIR employs 350 people, making it the eighth-largest employer in Halifax County. Adjacent to the resort is the VIRginia Motorsport Technology Park, which houses Virginia Tech’s Global Center for Automotive Performance Simulation (GCAPS) — a major testing ground for the automobile industry. Nyholm serves on the boards of the Virginia Chamber of Commerce, the Road Racing Industry Council and the Danville River District Advisory. Recent developments: In August, VIR announced its newest tenant at the VIRginia Motorsport Technology Park. The company, Redkoch, provides training for U.S. military Special Forces and elite law enforcement units in areas of tactics, firearms and ground mobility. Why he is influential: Thompson leads one of the largest black-owned businesses in the U.S. Thompson Hospitality is a regular on Black Enterprise’s list of the biggest African-American-owned companies in the nation, coming in at No. 8 in the most recent ranking. The company logged $550 million in revenue in 2016 and currently employs more than 3,000 people. Recent developments: Thompson Hospitality recently spun off its restaurant division from its contract food-service business. The new company, Pheast Food Group, manages Thompson Hospitality’s restaurants and is tasked with bringing new concepts to the table, including Hen Quarter and Hattie Mae’s Southern Kitchen & Oyster Bar, and a new fast-casual concept, Hen Penny. Why he is influential: Clement leads Hunton & Williams’ state government relations practice group, representing business and industry interests before the commonwealth’s legislative and executive branches. He also is on the board of visitors at his alma mater, the University of Virginia. Many, however, probably remember him as a legislator and cabinet secretary. He served as a state delegate from 1988 until 2002. For the next three years he served as Virginia’s secretary of transportation. He has served as chair of the board of directors of LEAD Virginia and the Virginia Chamber of Commerce. Recent developments: In 2013, Clement co-chaired Gov. Terry McAuliffe’s transition team. He is a regular panelist on the annual Virginia Business political roundtable. 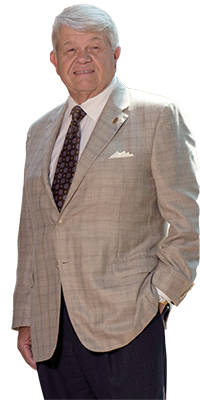 Why he is influential: He is chairman of McGuireWoods LLP, the largest law firm in Virginia. The Richmond-based firm employs more than 1,000 lawyers in 23 offices around the world. He joined McGuireWoods in 1977 and has developed a roster of A-list clients since then, including former U.S. Rep. Tom DeLay; Tiger Woods’ ex-wife, Elin Nordegren; and former FIFA President Joseph “Sepp” Blatter. Cullen also served as attorney general of Virginia from 1997 to 1998. In 1991, he was appointed U.S. Attorney for the Eastern District of Virginia by then-president George H.W. Bush. Latest developments: McGuireWoods has been named “Law Firm of the Year” in the banking and finance law category for three years in a row in a U.S News annual ranking of the nation’s best law firms. Why he is influential: Dyke has been appointed to a board or commission of public service by every Virginia governor since Chuck Robb. He serves on the metro task force of the Greater Washington Board of Trade and Virginia Initiative for Growth and Opportunity in Each Region (GO Virginia). His daughter, Jamie Clancey, has followed her father’s footsteps into public service and currently is serving as a councilwoman in Culpeper. 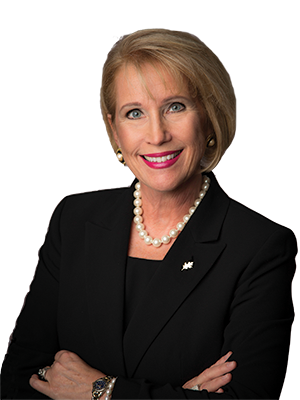 Recent developments: Dyke is chairman of the Virginia Chamber of Commerce’s K-12 subcommittee as it updates Blueprint Virginia, its business plan for the commonwealth. The plan will be presented to the new governor after the 2017 election. Why he is influential: Frantz is the former chairman, president and CEO of Williams Mullen, one of the largest Virginia-based law firms. In addition to Virginia, the firm has offices in North Carolina, South Carolina and Washington, D.C. Frantz serves on the board of visitors of his alma mater, the College of William & Mary. His other board appointments include Reinvent Hampton Roads, the Hampton Roads Community Foundation and Virginia Bio. Recent developments: Frantz continues to champion a “mega-region” connecting Richmond and Hampton Roads. Several chambers of commerce in the Hampton Roads and Richmond areas have signed a letter supporting efforts to improve the connectivity between the two regions. “I believe that we are making excellent progress,” Frantz says. Why he is influential: Breeden’s firm continues to expand its portfolio in the Southeast. Currently, 1,200 apartment units are under construction, with another 800 units in the pipeline in cities such as Richmond and Fredericksburg. The company’s total portfolio includes more than 10,000 apartments, 2 million square feet of retail and office space and 1,700 homes. Breeden serves on the boards of the Virginia Beach Education Foundation and the Virginia Symphony Orchestra. Recent developments: The Virginia Beach oceanfront community Aqua on 25th won an urban planning award in December. The public-private project, which opened last summer, includes 47 apartments, an iFly indoor skydiving facility and a public parking structure. Why he is influential: After more than four decades in commercial real estate, Cronk has helped shape some of the biggest deals in the Roanoke region. He also is known as an industry leader on a national scale. A Roanoke native, Cronk says he always has kept an eye out for economic opportunities. “I always look at those things that could support economic development and that bring business to Roanoke,” he says. Cronk served for 12 years on the city’s Economic Development Authority, including five years as its chairman. He’s also a past president of the National Association of Realtors, the country’s largest real estate trade group, which inducted him into its Hall of Fame in 2009. Cronk’s résumé also includes service on the board of the National Real Estate Roundtable and on the U.S.-China Residential Building Council. That appointment took him to China where he taught real estate practices to aspiring entrepreneurs. Recent developments: These days, Cronk says, he is more focused on giving back to his local community. He and his wife support organizations such as the Boys & Girls Club of Southwest Virginia and Apple Ridge Farm, a 96-acre farm near Roanoke that reaches out to underserved children. Why he is influential: Johnson is a prominent developer and philanthropist in Southwest Virginia, a region of the state in need of new projects and donor dollars. Johnson continues to develop The Pinnacle, a major regional shopping center that’s bringing in new national retailers and jobs. Recent developments: Johnson recently donated $1 million to the endowment fund of the United Way of Bristol, Tenn. He also gave another $1 million to Virginia Tech’s Indoor Practice Facility. Johnson is a Tech alumnus who played football for the school in the 1980s. 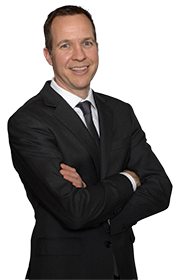 He played several seasons in the NFL before getting into commercial real estate. Why he is influential: Kettler heads the 16th-largest multifamily development company in the country. His firm creates high-end apartment communities that are helping to transform areas of Northern Virginia into urban, walkable communities. Currently, Kettler Inc. has taken on the transformation of the former SAIC campus. Renamed The Boro, the 18-acre site at Tysons is steps from the Greensboro Metro. Its first phase includes plans for 1.7 million square feet of mixed-use projects. The company’s name shows up, though, on more than apartments. It has been the sponsor of the Kettler Capitals Iceplex in Arlington — the training center for The Washington Capitals ice hockey team — since the facility opened in 2006. Recent developments: Kettler has won many awards during his 40-year career. He is a recipient of the Northern Virginia Building Industry Association’s Monument Lifetime Achievement Award. Currently, he serves on the boards of the Trust for the National Mall, the Tysons Partnership, the Kennedy Center corporate board and Wesley Seminary board. 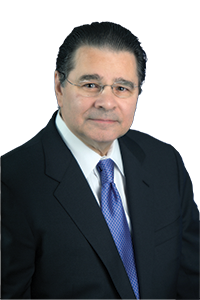 He also has served on several educational boards, including George Mason University. He and his wife, Charlotte, served as co-chairs of a $50 million capital campaign that led to the redevelopment of the Potomac School. They have four children and live in McLean. Why he is influential: Lawson heads a construction company involved in some of the most transformative projects in Hampton Roads. The Main, a $150 million hotel and conference center in downtown Norfolk, opens in April. In the company’s hometown, Lawson is the developer behind the Tech Center, a $250 million, mixed-use project. In Hampton, W.M. Jordan was the winning bidder for a new $95.6 million laboratory at NASA Langley Research Center. Another key interest is the continuing expansion of the Myers-Lawson School of Construction at Virginia Tech. New developments: Lawson’s stature as a go-to guy for getting major projects done was acknowledged when he received the 2016 Darden Award for Regional Leadership from the CIVIC Leadership Institute. Why they are influential: The Petersons continue to create a legacy in Northern Virginia with their development company and the family’s philanthropy. The company’s projects include the National Harbor development in Prince George’s County, Md. While Milt had the vision to develop the waterfront destination nine years ago, Jon has been key in carrying out the plans for National Harbor as a must-see tourist and convention center destination. Recent developments: In December, the father-son duo celebrated the opening of MGM National Harbor’s casino and resort at National Harbor. The $1.4 billion resort brings a Las Vegas-style venue to the Washington, D.C., area, with its 125,000-square-foot casino and 308-room luxury hotel. Linda Rabbitt, founder, chairman and CEO, Rand Construction Co., Washington, D.C.
Why she is influential: She heads one of the largest woman-owned businesses in the Washington metropolitan area and has served on numerous boards and sponsors programs that groom senior women executives for service on corporate boards. Recent developments: She initially endowed a George Washington University program for women board members, which moved to Harvard University’s Business School. Rabbitt says she plans this year to repeat the weeklong program, which drew 68 women from 14 countries. She also continues to serve on the board of Willis Towers Watson, a $8 billion company based in Arlington. Why he is influential: Thompson remains a visionary developer for Hampton Roads, and this year could be one of his biggest. April brings the public opening of The Main, a Hilton-branded, 300-room luxury hotel and conference center in downtown Norfolk that Thompson’s company is behind in conjunction with the city. Meanwhile, the opening of the renovated Cavalier Hotel in Virginia Beach has been pushed back to at least the summer because of costly and complicated repairs. Recent developments: Also on track to open this year is JT’s Camp Grom, an adventure park and camp in Virginia Beach designed for people with disabilities. Thompson and supporters have raised nearly $15 million for the project — the brainchild of Thompson’s son, Josh, who was diagnosed with amyotrophic lateral sclerosis (ALS) nine years ago. Why he is influential: Bland, a major Burger King franchisee, has served on numerous business, educational and community boards on the national, state and regional level. He is immediate past president of the Burger King Minority Franchise Association and a former chairman of State Council of Higher Education for Virginia. Bland is president of Healthy Neighborhood Enterprises and treasurer of Elevate Early Education. His continuing board memberships include the Virginia Chamber of Commerce, LEAD Virginia, Hampton Roads Community Foundation, Greater Norfolk Corp., New E3 School and Partners 4 Affordable Excellence. Recent developments: Bland was elected to the board of directors of Norfolk-based Sentara Healthcare and the board of trustees of Randolph-Macon College in Ashland. Why he is influential: Sasser has been CEO of Dollar Tree, a Fortune 500 company, since 2004. He guided the company through its $9.1 billion acquisition of Family Dollar in 2015. The company now has annual revenue of more than $20 billion. Dollar Tree sells most of its merchandise for $1 or less. Sasser also serves on the board of Fresh Market Inc. Recent developments: Dollar Tree ann­ounced in August that it would spend $110 million to expand its headquarters in Chesapeake, adding 600 jobs during the next six years. Why he is influential: Since its acquisition of Waynesboro-based nTelos last year, Shentel has become the nation’s sixth-largest wireless carrier in the country with more than a million subscribers (See related story on Page 58). French has been with Shentel since 1981. He became president in 1988 and chairman of the board of directors in 1996. French also is chairman of the Shentel Foundation, which supports a variety of community projects. He has held board and officer positions with state and national telecommunications organizations, including service as a director of the Virginia Telecommunications Industry Association. French currently is a member of the Leadership Committee of the USTelecom Association. Recent developments: Shentel has partnered with Longwood University to air all of the Farmville-based school’s home basketball games on Shentel Digital Channel 81. Why she is influential: Kilberg, who has led NVTC for 18 years, was instrumental in publishing the Greater Washington Technology Workforce Needs Assessment in December. She has launched several programs, such as the inaugural Capital Cybersecurity Summit in November, promoting the region as a global technology hub. She served on U.S. Sen. Mark Warner’s Cybersecurity Task Force and was named to the Loudoun Business Journal’s Women 100 list. New developments: NVTC hosted the Capital Data Summit in February, and Kilberg is working on a health tech summit scheduled for this June. Why he is influential: Since taking the helm of the Port of Virginia three years ago, Reinhart has helped guide a dramatic turnaround at the port, which is a major economic development asset for the commonwealth. He was named the Virginia Business Person of the Year in 2016. Recent developments: The Port of Virginia is undergoing major expansions at its terminals worth more than $700 million. The port is receiving $350 million from the commonwealth to grow capacity of its largest terminal, Norfolk International Terminals, by 46 percent. In addition, the port is doubling capacity of the Virginia International Gateway terminal in Portsmouth. After two years of negotiations, last year the port signed a long-term lease to operate the terminal. The port also set a record last year for the number of containers it moved. Why he is influential: Moorman leads Washington, D.C.-based Amtrak, the nation’s intercity passenger railroad, which reported a record ridership last year of more than 31 million passengers. Moorman is chairman of the board of the Virginia chapter of the Nature Conservancy and also serves on the boards of Duke Energy, Chevron Corp. and the Georgia Tech Foundation. He commutes between his home in Charlottesville and Amtrak’s headquarters by train. Recent developments: Moorman’s retirement didn’t last long. On Sept. 1, less than a year after he stepped down as Norfolk Southern Corp.’s executive chairman, he was appointed president and CEO of Amtrak. Now Amtrak wants Moorman to use the operational expertise he gained with more than 40 years at Norfolk Southern to build on Amtrak’s recent growth. 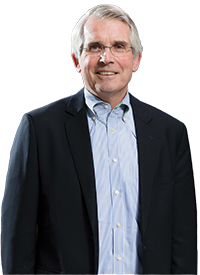 Since joining the organization, Moorman has led an effort to streamline Amtrak’s corporate structure. Amtrak says the management and organizational changes provide greater transparency to customers and stakeholders and give it the flexibility to comply with the federal Fixing America’s Surface Transportation (FAST Act), which for the first time includes passenger-rail funding. Moorman also will oversee several major capital projects. Amtrak is undergoing a $20 billion project to upgrade its Northeast corridor. Closer to home, the railroad is working with Norfolk Southern and Roanoke to bring passenger rail to the city. Why he is influential: Squires has led Norfolk Southern since 2015. Last year, the company’s profit improved despite economic headwinds affecting the railroad industry, including falling coal volumes and soft intermodal traffic. Recent developments: Since Canadian Pacific Railway dropped its repeated takeover bids for Norfolk Southern last April, Squires has continued to lead the company through cost-cutting measures that include consolidating its operating regions and improving productivity.The company consolidated much of its executive workforce at its Norfolk headquarters last year, a move that included closing its Roanoke regional headquarters building, which it sold to a group of investors in December. Daniel D’Aniello , chairman and co-founder, The Carlyle Group, Washington, D.C.
Why he is influential: Before co-founding The Carlyle Group, a private-equity firm with $169 billion in assets under management, D’Aniello was a vice president for finance and development at Marriott Corp. D’Aniello is a member of The Council for the United States and Italy and a trustee of the Lumen Institute. He chairs the Wolf Trap Foundation board and is a lifetime trustee of Syracuse University as well as a member of the Chancellor’s Council and the Corporate Advisory Council to the Martin J. Whitman School of Management at Syracuse. In 2014 he donated $20 million to the free-market think tank American Enterprise Institute, where he now serves as co-chairman of the board of trustees. Recent developments: Last year The D’Aniello Family Foundation gave $4 million to Syracuse University, half of which went to the Institute for Veterans and Military Families. D’Aniello was also awarded the U.S. Navy Memorial Foundation’s Lone Sailor Award and gave substantial gifts to the archdioceses of Washington, D.C., and Arlington, for education and humanitarian causes. Why is he influential: Case co-founded America Online in 1985 and in 2000 negotiated the merger of AOL and Time Warner. He co-founded Revolution LLC, a Washington, D.C.-based investment firm in 2005. In 2014 he was named presidential ambassador for global entrepreneurship and was the founding chair of Startup America Partnerships, a White House effort to accelerate entrepreneurship. Case currently serves on the Smithsonian Institution board of regents. He and his wife, Jean, own Early Mountain Vineyards in Madison County. Recent developments: Last April Case published the bestseller “The Third Wave: An Entrepreneur’s Vision of the Future.” This year he will serve as the vice chair of the Smithsonian Institution board of regents. Ted Leonsis , co-founder and partner at Revolution Growth and majority owner and CEO of Monumental Sports & Entertainment, Washington, D.C.
Why he is influential: Last year Leonsis acquired two arena football leagues for Monumental Sports, adding to its roster of other pro teams in the NBA, NHL and WNBA. The company also owns the 20,000-seat Verizon Center and a network delivering film and television content on the internet. The former vice chairman and president of AOL, Leonsis sits on a variety of corporate boards, including American Express and Groupon. Recent developments: Leonsis is co-leader of the Greater Washington Partnership, a new organization that aims to boost economic growth in a region stretching from Baltimore to Richmond.